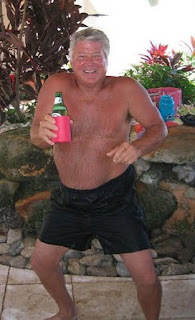 So apparently, Jimmy Johnson is a complete idiot. I’m talking about the coach, not the racecar driver, though I don’t imagine it takes a brain surgeon to drive counterclockwise for a living. I never thought that anyone who coached the biggest thug franchise in college football and the biggest thug era of pro football would be the smartest guy in the world, but I didn’t know until a week ago that he was a complete idiot. I was so happy that somebody finally broke out statistics related to Bill Belichick’s decision rather than just cry about their feelings and what everybody else would have probably done. Here are the stats that he gave, though I don’t know exactly where he got his info from. Tom Brady converts 4th and 2 77% of the time. Peyton Manning scores from 70 yards in under 2 minutes 33% of the time. Peyton scores from 30 yards in under 2 minutes 58% of the time. After the piece he did, I was happy to see logic and numbers introduced. And then, in an amazing feat of idiocy in the face of undeniable proof to the contrary – exposed by he himself with the stats he brought up – he used those numbers to say that Belichick should have punted. Even if Peyton scored every time from 30 yards out and never from 70 yards away, there was still a 77% chance of that decision succeeding. Again, I won’t even consider blocked punts, punt returns, muffs or fumbles. As long as Brady ran the ball for three plays and then punted in the context of the game, Peyton would have had to go 70 yards (or more) in about 30 seconds. If Brady didn’t get another first down. And this doesn’t even consider how poorly the defense was playing at that point in the game. Anyway, I’m done talking about this now. I just wish somebody out there in the media was smart enough to point out the fundamental flaws in the rest of the media. God, I can’t wait to get famous. 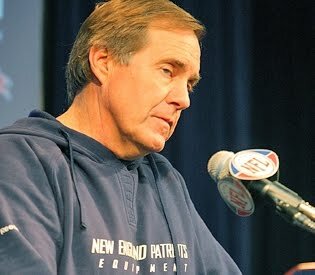 There’s been a lot of rhetoric from people who are paid (overpaid) too spew opinions by the pound about Bill Belichick’s decision to go for it on 4th and 2 late in the game against the Colts, and it has reaffirmed my distaste for the self-proclaimed experts in the media, whether it’s the actual media or the facebook and twitter make-pretend media. I can respect an opinion when backed up by facts, but facts have been few and far between in this all-too-typical assault on a decision that didn’t work out. And what annoys me further is the effect it has on the greater public, reaffirming my belief that the average American will swallow whatever pill the media hands them. So let me interject some logic into this debate, if you all don’t mind. First of all, let me isolate this decision. No talk of time outs, bad spots or bobbled catches. In order to do this, you need to do something most people can’t, and that is to disregard the result of the play. As Ron Jaworski said, it’s easy to claim you knew it all along with access to the results. If they get the first down and win the game, wasn’t it the same decision that most of the media is calling the dumbest decision ever made in the NFL? I guarantee that’s not the way it would be written by the same reporters. That’s what is known as the hindsight bias, and everybody is guilty of it, never more evident than with this situation. It’s what we tell ourselves (and others) after an event to make us feel smarter. After the Phillies won the NLCS, radio talk shows in Philly were buzzing with confidence about how we were going to show the Yankees who are the real Sultans of Swat in the MLB. And a week later, after losing the series 4-2, the same talk shows were buzzing with callers saying they knew that we could never beat the Yankees because they have too much firepower. The same talk shows. Probably the same callers too. In addition to the hindsight bias, I have heard a lot of incomplete arguments. Everyone talks about the position he puts the defense in if they don’t get the 2 yards (which is what happened). And what of the position he puts the team in if they get it? Also, punting the ball is not a victory. Not by any means. And the defense was still, as defined by the rules of the game, allowed to try to stop them from the 29 yard line too. 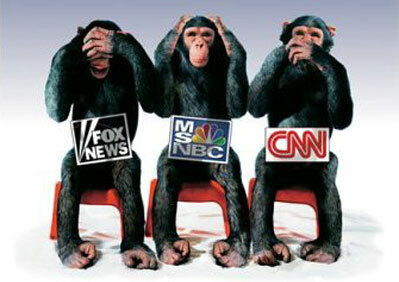 The media argues one side of a coin like lawyers trying to win a case rather than philosophers trying to find truth. OK. It’s logic time. They go for it on 4th and 2. Unconventional, yes – but under Tom Brady, the Pats have converted 75% of their 4th down attempts (and also put up over 450 yards on the Colts that day) and the league averages around 65% on 4th and short. So there’s about a 65 – 75% chance you basically win the game on one play. The chance that Peyton Manning will drive the ball 29 yards in under two minutes to score? The league success percentage on scoring TDs in the last 2:00 is around 30%, but given that the Colts have Peyton and the New England defense looked tired in the 4th quarter, let’s make it a liberal 65 – 75%. 75% of 25% is about 18%. So the decision Belichick made had a success ratio of somewhere in the neighborhood of 82%. Assuming the punt doesn’t get blocked, run back or muffed (because those things never happen), the punt forces the Colts to drive 70 yards in under two minutes using only one time out. Something they had done not just once, but twice in the 4th quarter of that very game. You think that success ratio is higher than 18%? I would wager it is. But whether it is or not, it’s not so absurd to be called stupid. Ah, the power of practical thinking. Some Belichick haters showed their bias in writing that he only made that decision to show off to the league and that is one of the stupidest arguments I’ve ever heard. He is a head football coach trying to win a game, not run up the score. He was not basing his decision on bravado and anybody who sincerely thinks that is an idiot. He has a philosophy and people are just pissed off because it usually works. Teddy Bruschi and Rodney Harrison were offended as defensive players and said the defense should be offended. Offended that he didn’t give them the opportunity to let the Colts drive 70 yards on them again? They could have stopped them in 29 yards and shut everybody up and been the heroes. Belichick made the tough decision that – if it didn’t work out (which it didn’t) – would have obviously not been the popular one in the media, and I personally applaud him for it. He doesn’t need to apologize to his team for making “the wrong” decision, just because it didn’t work out. The arrogance people claim that is Bill Belichick is very obviously reflected back on the haters and short-sighted reporters who claim that they knew this wouldn’t work. Of course you knew it. It didn’t work so you must have.